Diwali also called 'festival of lights' which brings the season of winter with joys, happiness, purchasings, gifts, and a lot of new events and festivals like Dussehra, Dhanteras, Goverdhan, Bhaiduj and Narak chaturdashi along with itself. Images shown in this essay and links to other resources will help kids to learn essay very easily. Diwali festival also known as the "festival of lights" is celebrated by Indians, all over the world, with great joy and enthusiasm. 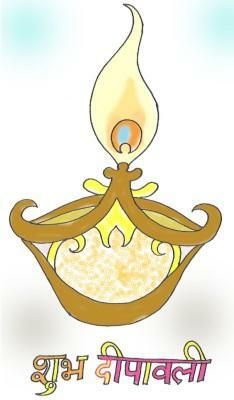 The name "Diwali" is a contraction of word "Deepawali", which means "row of lamps". 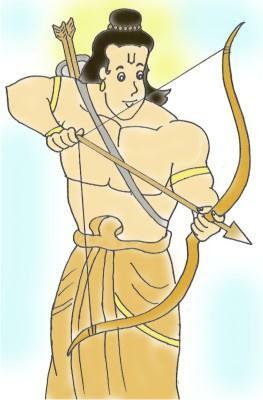 Diwali commemorates the return of Lord Rama to his kingdom Ayodhya, along with his wife Sita and brother Lakshmana, after completing his 14-years exile. People of Ayodhya welcomed their king by illuminating the kingdom with clay diyas. Diwali is celebrated after twenty days of Dussehra festival which signify the triumph of good over evil. 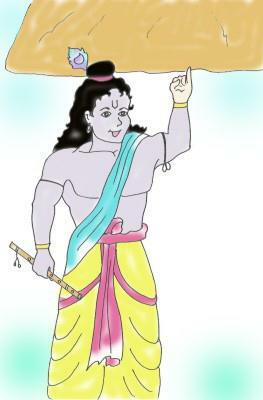 On Dussehra lord Rama killed demon-king Ravana who had abducted his wife Sita. As per hindu calendar, Diwali falls between mid-October and mid-November on Kartik-Amvasya. People start cleaning and painting their homes, shops and surroundings many days earlier to Diwali. They purchase new winter dresses, gifts, utensils, sweets and crackers etc. on this occasion. This is considered the auspicious occasion for inauguration of new shops, home, business and partnerships etc. Diwali comes along with a pack of festivals which start with Dhan Teras on Trayodashi means on 13th day after full moon followed by Naraka Chaturdashi on 14th day, Lakshmi Pooja (Diwali) on Amavasya, Goverdhana and Bhaiduj on 1st and 2nd day after Amavasya. Dhan Teras is considered an auspicious day for buying utensils, home products, and gold, silver etc. In north India people do purchase broom stick on this occasion. 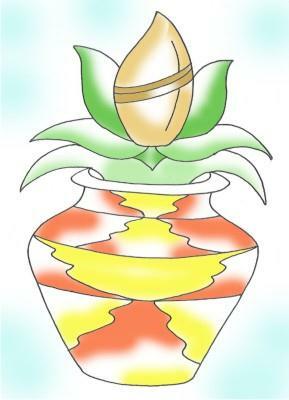 People consider this day as auspicious for starting new business. Naraka Chaudashi was the day on which the demon Narakasura was killed by lord Krishna which signifies the victory of light over darkness. On Diwali morning Pitr puja - means worship of ancestors with water in clay pitchers and a clay diya. Home and Temples decorated with Rangoli and lighting. People worship of goddess Lakshami and lord Ganesha in their homes and shops and business locations in the evening. Lakshmi is the goddess of wealth and Ganesha considered as god of auspicious beginnings. People welcome Diwali with lighting clay diyas filled with oil in streets, markets, homes and surroundings for wishing prosperity and well-being. Fire crackers are the main attraction of the kids on this occasion. Delicious foods cooked at homes and sweets distribution to neighbors, friends and relatives are the part of diwali celebration. On Diwali night people let doors of their homes remained opened as they expect visit of goddess Lakshmi. Govardhan Puja and Bali Pratipada in North India celebrated as Govardhan Puja and Annakoot. On this day lord Krishna defeated Indra – the king of devtas by the lifting of Govardhana hill to save his villagers and cattle from heavy rain arranged by Indra. In north India cow dung, sugarcane, books, weapon and tools etc. worshiped on this occasion in the evening. For Annakoot, food is decorated which symbolizes the Govardhan hill lifted by Krishna. People in Maharashtra, Tamil Nadu and Karnataka celebrate this day as Bali-Pratipada which commemorates the victory of dwarf Vamana incarnation of Vishnu over the demon-king Bali. Bhaiduj festival is the symbol of affection of brother and sister. Sister tilaks her brother and offers coconut and sweets to him where brother gives presents to his sister. On Diwali occasion every community and age group is full of enthusiasm. Different ways of celebration to same festival by different cultures makes festivals more beautiful. Markets are full of good offers and new products. Lightings and decoration in market make environment for graceful. Service persons receive gifts and bonus from their employers so they are ready to purchase their required items from market. School, colleges are closed for many days so kids are enjoying the festival as much as they can. Banks offer new schemes and interest rates. Heavy budget new films are released on this occasion every year. We should play with fire crackers under observation of our elders and with taking proper safety measures. Only packed sweets should be purchased on festival season because chances of adulteration is maximum with opened sweets and food. Figures in your resource are excellent. I would like to know which software do you use to draw the figures in studyvillage. I draw sketches on drawing sheet by hand. And after scanning the drawings I use CoralDraw and PhotoShop for refining and coloring images.